Cameron Highlands is one of the most popular tourist destinations in Malaysia. Cameron Highlands is 1500 meters above the sea level, and the temperature is low throughout the year. The largest 274.97 sq mi scenic hill station is located in Pahang and worth to visit for all. 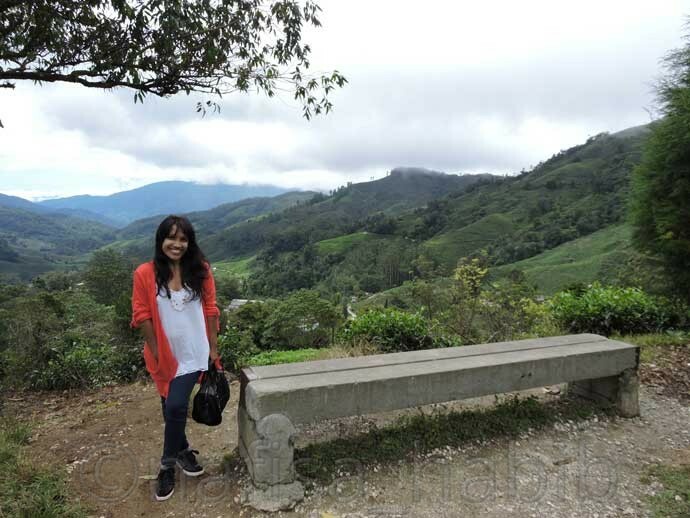 I loved my one day trip to Cameron Highlands from Kuala Lumpur. I was surprised to explore many farms to lush green tea plantations all around Cameron Highlands. Cameron Highlands is almost 300 km away from Kuala Lumpur. It takes 3 hrs to reach the Highlands by road. I made a group tour with IVY Holidays and arranged by Hotel Sentral Pudu. At early morning we started our journey and took the Tapah route to reach Cameron Highlands. It was almost 12-13 hrs journey and cost me 350 RM. The route is scenic and loved the mountainous sunrise view from the taxi window. On the way had breakfast from Pak Tam with Nasi Lemak and Lemon Honey juice. The whole trip was interesting. Details inside. 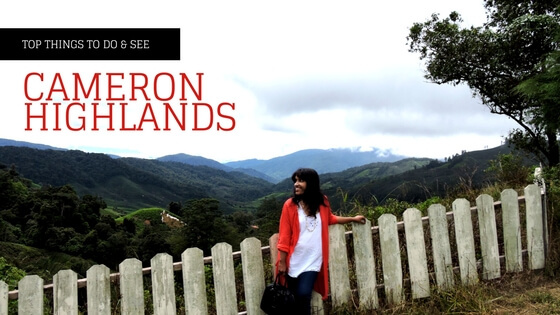 A travel video on my road trip to Cameron Highlands before you go through the post. 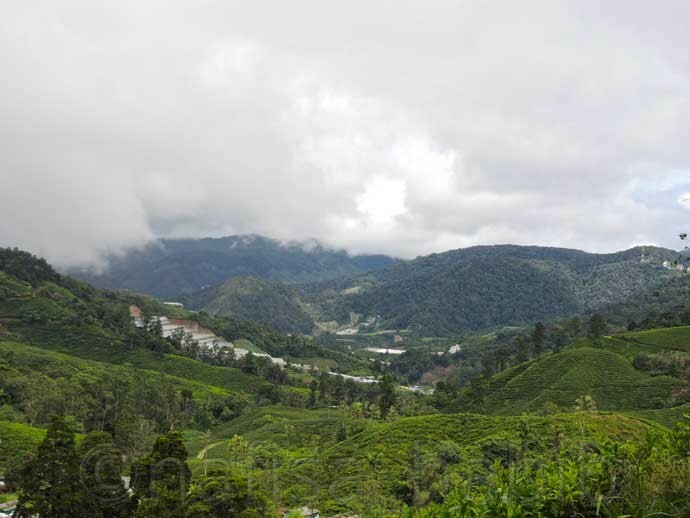 Many lush tea plantations are the main attractions of Cameron Highlands. 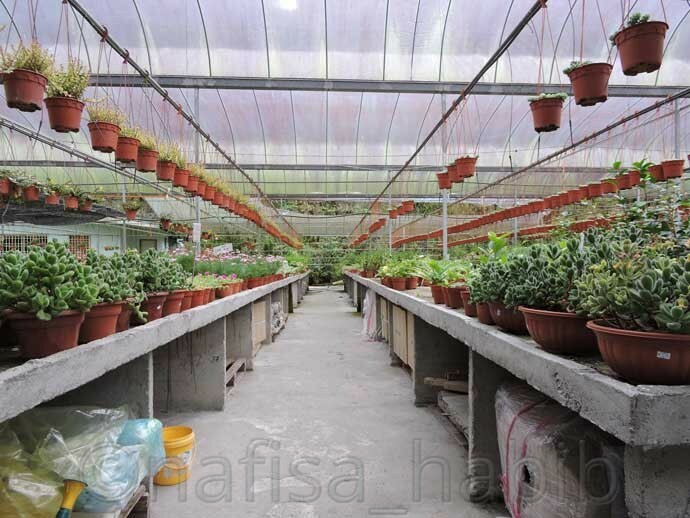 The cool temperature of Cameron Highlands is also perfect to grow many vegetables, fruits, and flowers. Ringlet is the main agricultural hub of this hill station. Tanah Rata is the main and popular town in the Cameron Highlands and best for budget hotels and restaurants. Another popular town among tourists is Brinchang for good food and shopping. A road trip by car is the best way to explore Cameron Highlands. 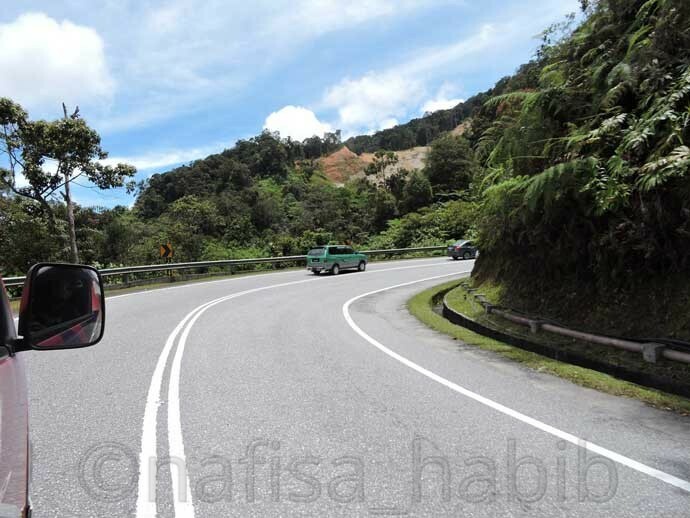 Either you can take the west (Tapah/Ipoh) or east (Gua Musang/Kuala Lipis) route to reach Cameron Highlands. Public transport service by bus is also standard. Buses stopped in almost all towns of Cameron Highlands. The rental taxi service is also not a bad idea to take. It depends on your choice and interest. As the weather is cooler, so the popularity of Cameron Highlands is high always among tourists. The average temperature is 18 °C and dropped at night. To avoid more tourists better not to visit in the peak season. During weekends students visited more for educational tours. 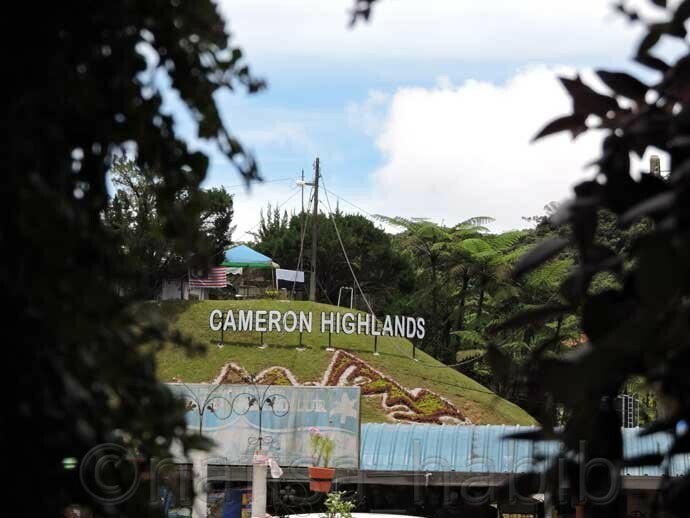 Mainly locals do visit Cameron Highlands during local holidays. If you want to escape from too cold, then visit during summer time (June-July). I visited in August, found a few tourists and the weather was fine enough. 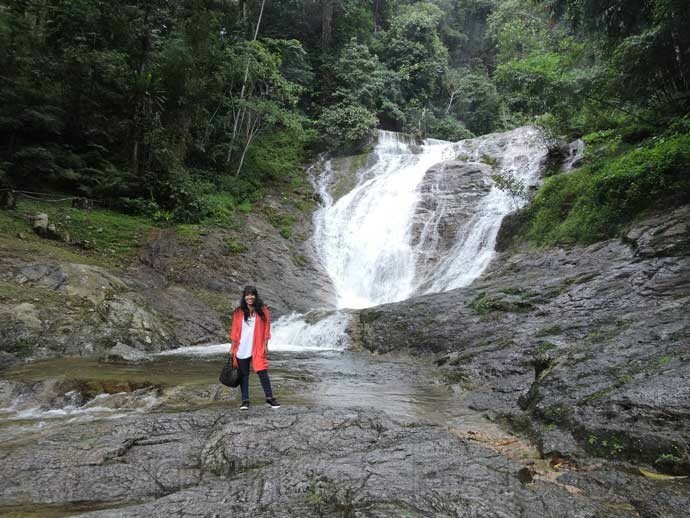 If you’re traveling via Tapah then on the way you can enjoy the beauty of Lata Iskandar Waterfall. This jungle waterfall is the popular one to make a small halt and photographs. 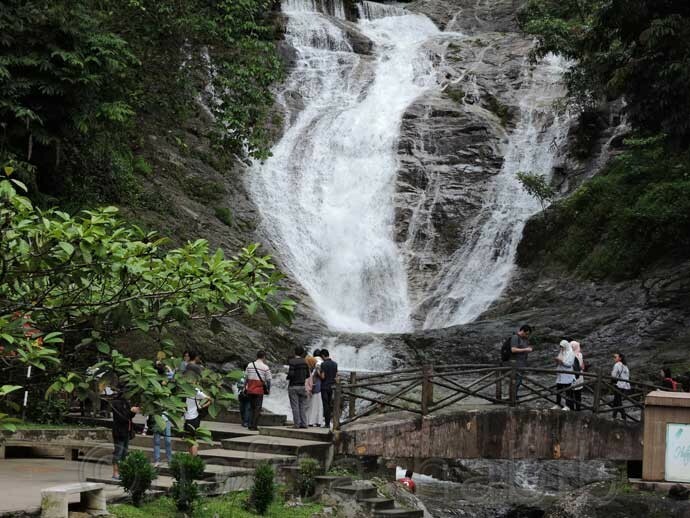 You’ll also find much local food and fruits vendors to eat besides the waterfall. And can also shop handicrafts from the local vendors. 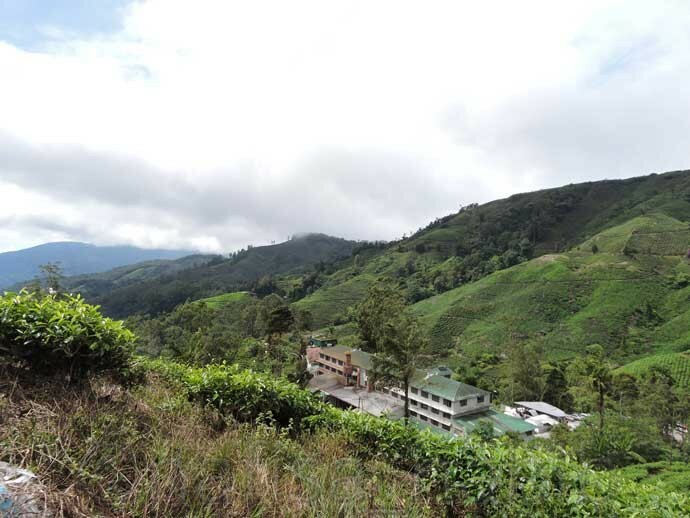 Some of the popular tea plantations in the Cameron Highlands are BOH Tea Plantation, Cameron Valley Tea Plantation, Sungai Palas Tea Plantation, and Bharat Tea plantation. I visited BOH Tea Plantation. BOH is a famous tea brand in Malaysia and established in 1929. This oldest tea garden and tea centre was worth to visit for many reasons. 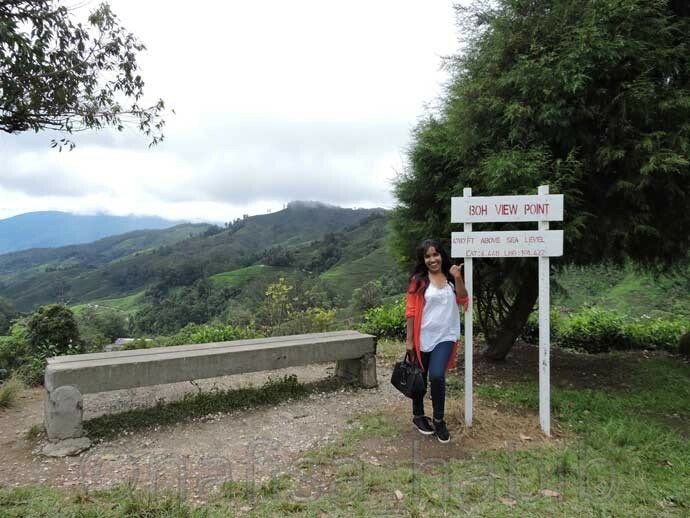 The main attraction of BOH Tea Estate is the BOH View Point. The beauty of BOH plantation and blue mountains is simply breathtaking from 4787 feet above the sea level. You’ll enjoy a short trek to reach the view point. Then you can visit the tea center to see the whole tea processing of BOH Tea Plantation. There is one nice tea outlet to purchase BOH tea products. And one cup of fresh BOH tea is must drink from BOH Restaurant. BOH Heritage Tea Centre is closed on Monday and the opening hour is 9:00 AM to 4:30 PM. You might like to book Malaysia tours, attractions, and activities online or check out some of the options below. Cameron Highlands is the main hub to grow and harvest strawberries in Malaysia. There are many strawberry farms and open for all visitors to visit and buy fresh strawberries. 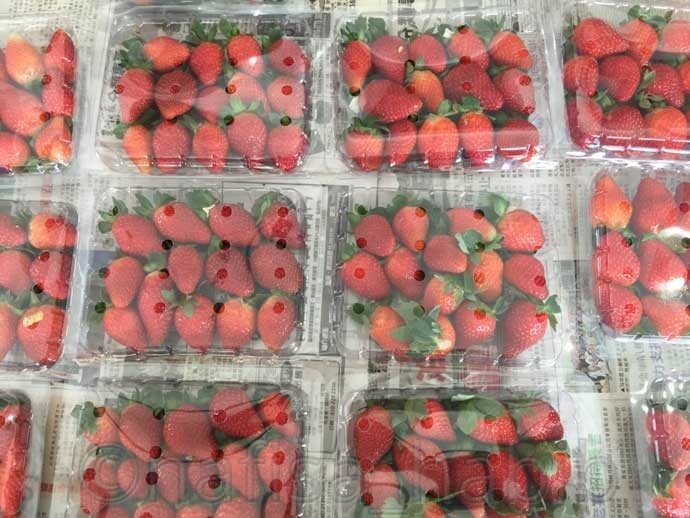 Many farms offer to pick your own strawberries and sell different strawberry food products. After tea plantations, strawberry farms are the main attractions for tourists in the Cameron Highlands. 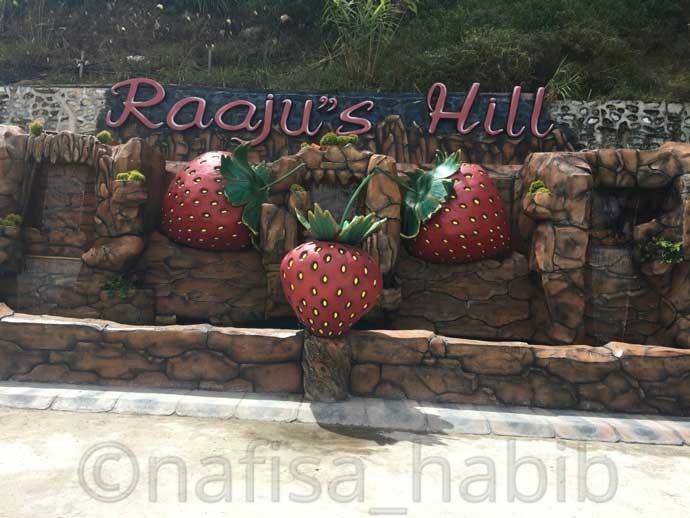 I visited Raaju’s Hill Strawberry Farm and enjoyed to taste fresh strawberries. 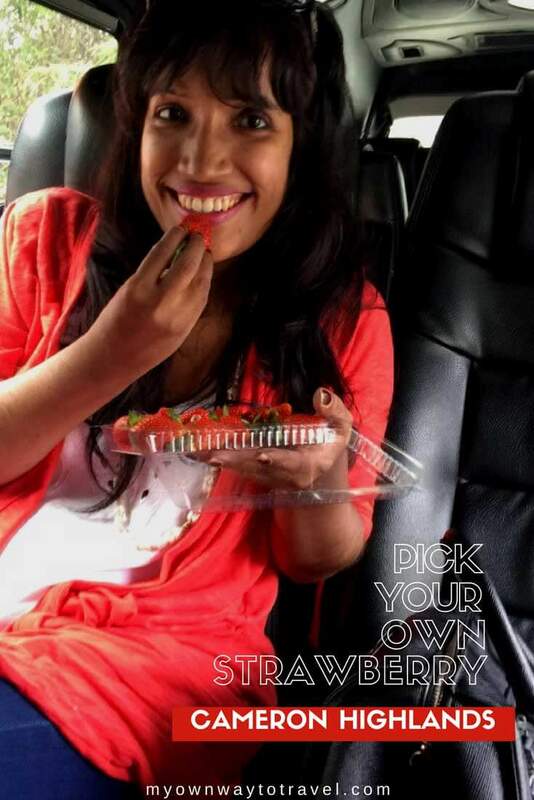 Some other popular strawberry farms are Healthy Strawberry Farm, Big Red Strawberry Farm, and Kasimani’s Strawberry Farm. April to June is the best time to visit strawberry farms in the Cameron Highlands. First time preferred to give more love over flowers to cactuses. 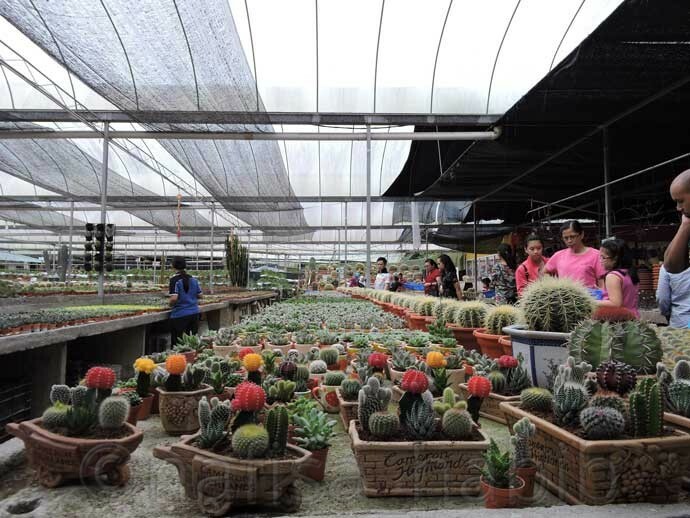 It was worth to visit Cactus Point Cactus Farm in the Cameron Highlands. There are huge collections of many cactuses here. I had no idea about colorful cactuses and they look like flowers only. 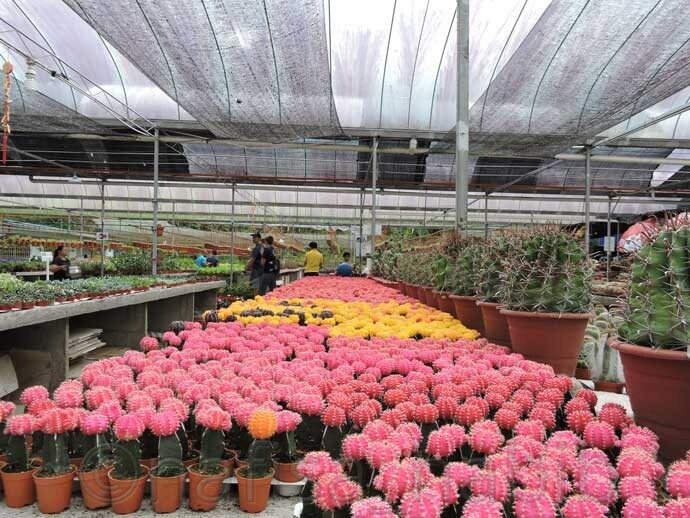 You can pick and buy cactuses from this farm. 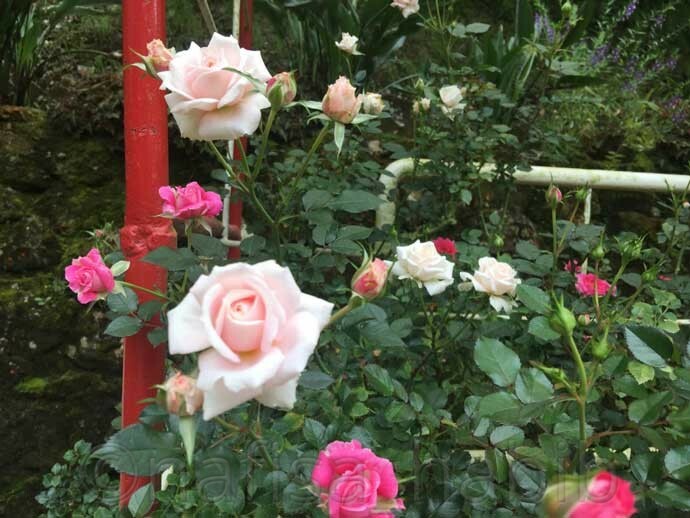 There are few rose collections at Rose Valley. The admission fee is 5 RM per person. 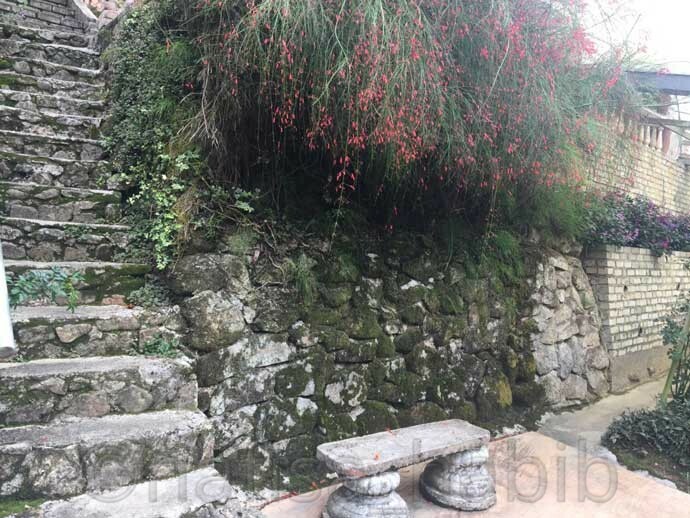 Rose Valley is like a garden and not that worth besides enjoying some moments and walking through the walkway. But remember not to pick any flower by mistake. 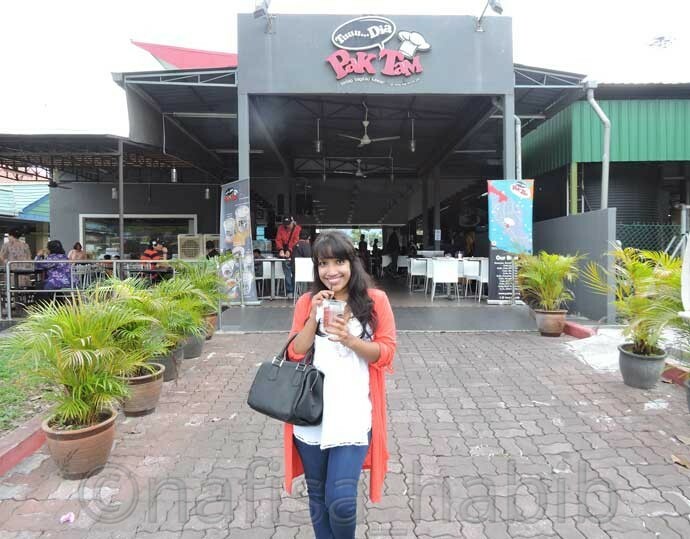 There are many Asian restaurants particularly Indian restaurants at Tanah Rata. I had a quick lunch with Arab Salad and French Fries from Cameron aa Curry House Restaurant. This particular spot beside this restaurant is perfect for hangouts, less crowded and you can have good food at a reasonable price. Besides, there are Bee Farm, Kea Farm, and Butterfly Farm to visit in the Cameron Highlands. However, for staying some days in the Cameron Highlands, you should book hotels before a tour. Mostly in the peak season, all hotels are booked very fast, and the price became high. Undoubtedly Cameron Highlands is one of the scenic holiday destinations in Malaysia. A delightful and pleasant hill station to lose you in nature. A trip to Cameron Highlands is to take a break from the hustle and bustle of the city life. 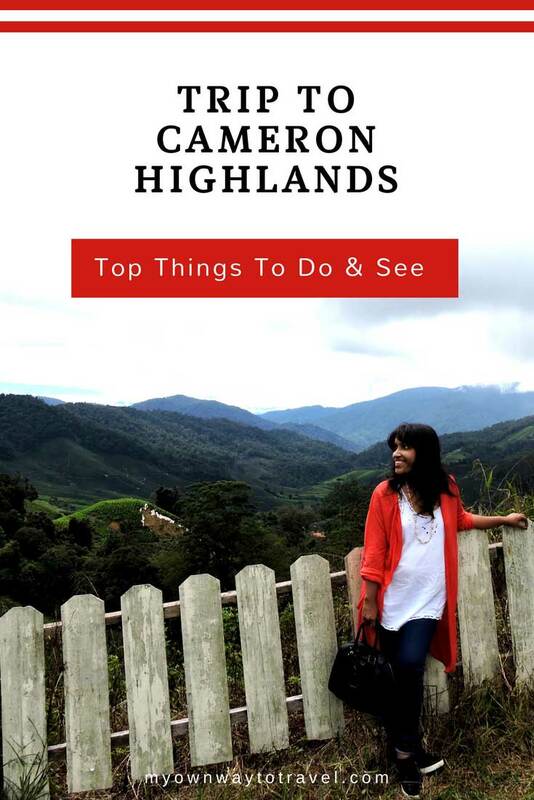 Have you visited the Cameron Highlands in Malaysia? Share your tips and experiences in comments! hehehe next time don’t be so caring 😉 Yeah this destination is really so green..
Good tips on the hotels booking up. It would be pretty miserable to get there and have to pay an insane amount just to find a place to sleep. Oh, and those photos are absolutely gorgeous. What a lovely place!! I have never even heard of these highlands but they look lovely. And good to know that August is a good time to visit! Also seems like a good idea to go on a tour since it seems far away for a day trip!! 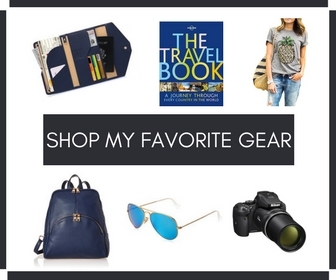 Would love to check out the waterfalls and some of the tea plantations!! Thanks!! What a beautiful place! I love the flowers and the pink cacti! Would love to visit here when I visit Malaysia! Hi Lyn! Thank you for finding this post cool 🙂 For a coming year, it’ll be worth to keep this green destination on your bucket list. Thanks so much for your sharing. I am planning a trip to Malaysia with my family and wondering whether 2-day trip like is enough to go around this highland city. Because my family has elderly people and children as well, so I’m a bit worried about that. Hi, Though two days enough but I’d instead recommend more two days as it’s a family trip and I’m sure children will enjoy much as well as elders will love 🙂 There is no way to be bored in Cameron Highlands, and climate is also cool. To enjoy a relaxing trip you can keep it for 4 days. Let me know if anything else you need to know. Thank you! This share is more appealing than others.